Kawasaki | I Love Cafe Racers!!! Those of you who read the blog regularly might remember my recent post about the billions and billions of Honda motorcycles that seem to end up on the site. Yes, I am a whiner, it’s true. 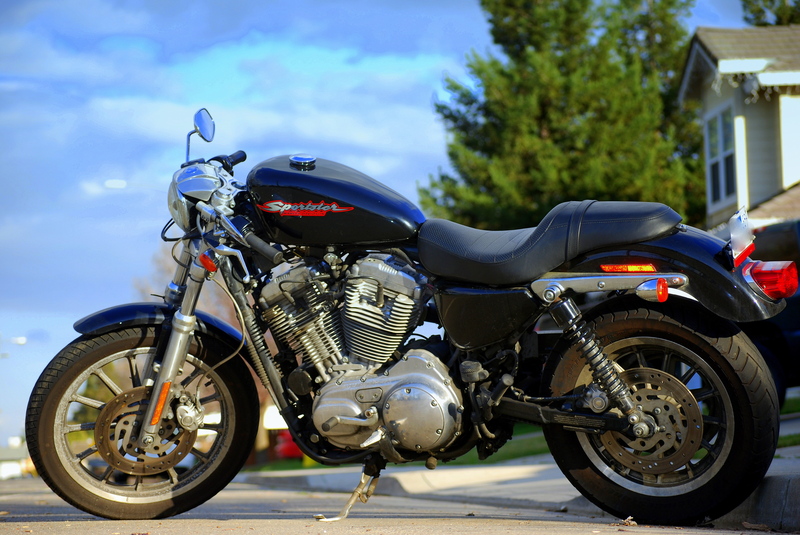 And then comes along this… I’ll call it a cafe racer. While maybe not a cafe racer in the classic sense of the word, this 1977 Kawasaki KZ750 definitely has many cafe styling cues. Maybe it is more of a Euro street fighter with clip-ons. Regardless, the seller has done some cool stuff to a bike that doesn’t see much love from the cafe crowd. I have to give the guy credit. This is a unique bike with which the builder has followed a unique vision. I’ll leave you with this quote from the eBay listing: “This bike is fast and very eye catching. I guarantee no one else will have a bike like this one.” Huzzah, I say!!! Why are they all Hondas? I know, I know. This is something of a rhetorical question. But looking back through the posts over the last couple of months, most of the bikes I’ve written about have been from Honda. The CB750, CB550, CB350, and the CB350T have all been featured multiple times in various states of cafe build or disrepair. I say bring on the other makes and models of bikes. Let’s see more Suzukis, Yamahas, and Kawasakis! Don’t keep that old Norton in your garage stock! And bring on the Beezers, Triumphs, and other older British marques! 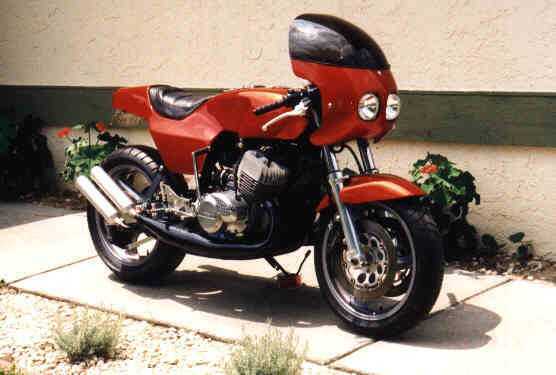 And while we’re at it, let’s build more Beemers and Ducks into classic cafe racers! Hardly complete. Needs controls, front brakes, carbs installed/rebuilt, exhaust, foot controls, etc, etc, etc. More work than it appears from first glance, but a great final outcome possible with enough elbow grease. This seller also claims to have a garage full of bike (around 30) that he will be selling. I may try to contact him to find out what’s up with this collection being sent to the auction block. There might be some more potentially beautiful cafe racers coming up for sale! I guess I had never really thought of constructing a good looking cafe racer seat in this manner. I’m used to looking at fiberglass or metal constructs that leave the stock seat-pan behind. The eBay listing for this says that it is for an early Kawasaki, but what’s interesting is that it is a stock seat-pan with a fiberglass cafe racer hump attached. And it looks pretty good, not kludged together. Here’s a really clean Kawasaki cafe racer based on the KZ900. The owner (an Australian and different from the seller) appears to have done a good job of replacing all the parts that would be marginal on a bike of this age, and it looks like a pretty clean build. From a styling perspective, it is pretty standard Kawasaki cafe racer/street fighter until you get to the tailpiece. Wow. That it is different. Not sure how it would be under hard acceleration give the flatness and lack of any kind of rise or hump at the back. But it is certainly unique, and I like the tail lights. Do you have an H1 sitting around in need of something new and different? Do you want to stand out fromthe crowd at the local Quaker Steak and Lube bike nite? Do you really dig psychedelic paint jobs and wear cool bells and cords? Well, have I got a deal for you. On eBay now with only about 9 hours left (as of 11:20am on 7/29/08 ) is this Tracy fiberglass body kit for a Kawasaki H1. I am assuming the super cool paint could be changed to better suit your taste, but why would you want to do that? It would be great to be blogging about a bike built up with this bodywork in a few months!!! I have included a picture below of another Kawasaki (an H2, I believe) with a similar body kit as reference for potential final product after installation.